This year, The Mountaineers launched a new Canyoning Committee, dedicated to helping people explore the canyons of the Pacific Northwest. Join us for our new course in July to get the skills you need to discover the magical hidden parts of our natural world. Lush green corridors. Colorful basalt. Smooth sculpted granite. Turquoise pools. Waterfall after waterfall. The world class canyons of the Pacific Northwest are one of our best kept secrets. And we're hosting an intensive canyoning course for 8-days in July to get you out in these magical places. When we think of canyons in the US, many of us imagine desert slot canyons. But here in the PNW, we have clear flowing creeks with waterfalls that are full of life, waiting for the canyoner to discover the magical, hidden parts of our natural world. 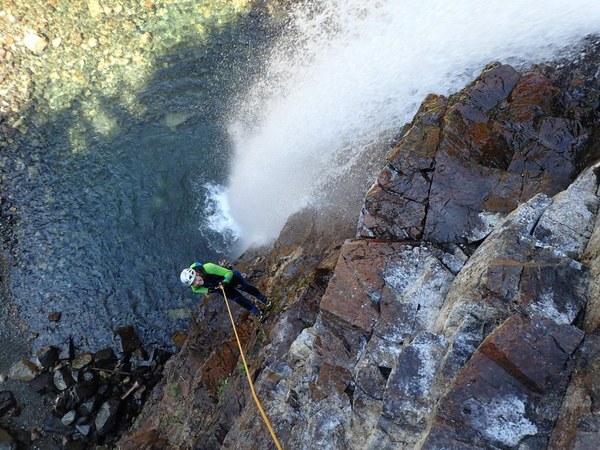 Canyoning combines exploration, adventure, solitude, teamwork, and pure, unadulterated fun. Imagine this: you trek off trail to find the spot where a creek begins its descent. You rig up a rappel and slide down through a waterfall to encounter a narrow room with white sculpted walls and deep blue pools. Then, you throw yourself off a five foot jump into a deep pool, culminating in a natural water slide. You exit quietly, taking in the hanging gardens towering on the walls high above you. The only people you see all day are your teammates. 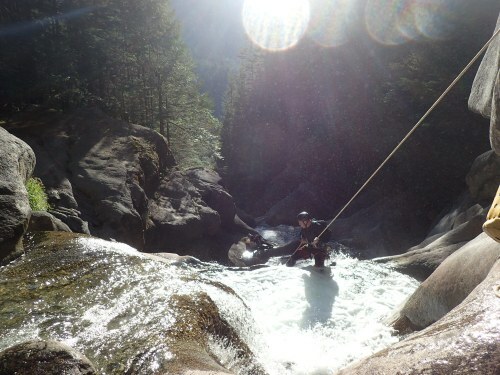 Canyoning is a technical sport requiring training in unique equipment and techniques. While many climbing concepts transfer, aquatic canyon environments require a unique set of skills for a team to safely explore. 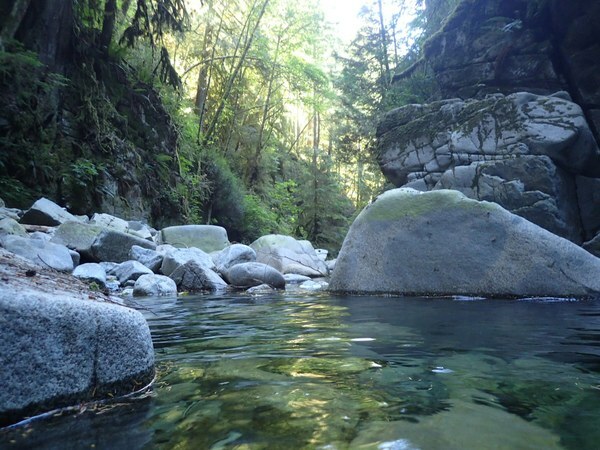 The Mountaineers Seattle Canyoning Committee is hosting an 8-day intensive course in July with our friends from Canyoning Colorado to give you the skills you need to discover these lightly-trodden places. Those who complete the course will have the opportunity to go out on Mountaineers canyoning trips during late July and August, and will receive an internationally recognized CA123 certification from ICOpro. Join us to expand your world of possibilities and to connect with these spectacular places hidden in plain sight. scholarships are available. click on the link at the top of the course listing to apply.